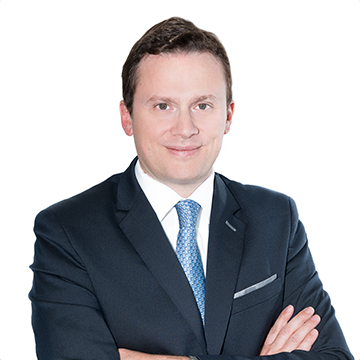 Olivier Sureau, an Expert-Comptable Diplômé and a Certified Public Accountant, worked 3 years in an Audit Firm in Paris before moving in 2000 to join a French Tax and Accounting Firm in NYC. In 2003, Olivier Sureau and two partners founded JADE ASSOCIATES in New York and Miami, later that year he moved to Miami to develop the branch. In the last few years, Olivier Sureau has opened several offices in the US (Atlanta, Boston, Chicago, Dallas, Fort Lauderdale, Houston, Los Angeles, Orlando, Palo Alto, San Francisco and Washington) as well as in South America (Sao Paulo, Rio de Janeiro and Buenos Aires). JADE ASSOCIATES is part of the FIDUCIAL Group since March 2015 and continues its expansion. Today, JADE FIDUCIAL has 14 offices in the US: Atlanta, Boston, Chicago, Dallas, Fort Lauderdale, Houston, Los Angeles, Miami, New York, Orlando, Palo Alto, Puerto Rico, San Francisco and Washington. JADE FIDUCIAL has also 2 offices in France in Paris, 2 offices in Brazil in Sao Palo and Rio de Janeiro ; 1 office in Argentine in Buenos Aires. Olivier Sureau is the associate in charge of JADE FIDUCIAL development, he also supervise the offices in Atlanta, Boston, Chicago, Dallas, Fort Lauderdale, Houston, Los Angeles, Miami, Orlando, Palo Alto, San Francisco and Washington. JADE FIDUCIAL dedicates its services to French companies and individuals based in the US, and has a strong knowledge of the international treaties, especially with France. Olivier Sureau has a strong knowledge in international tax with over 18 years of experience. Today, he speaks at conferences all over the US and continues the development of JADE FIDUCIAL. He is also “Conseiller du Commerce Extérieur” of France in the US since 2009, the treasurer of the FACC Miami and Fort Lauderdale since 2005 and he treasurer of l’Alliance Française Miami Metro since 2018.